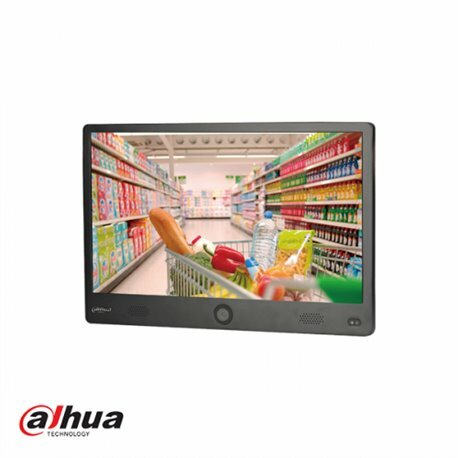 > Industrial Design: industrial LCD panel, FHD resolution, all-metal design, narrow frame design. > Built-in camera: 1/2.7 inch CMOS, 2 MP@25fps, 3.6mm fixed lens, H.265 and H.264+ encoding. > Built-in SD card slot: supports maximum 128G micro SD local storage and playback. > Front Speakers: special front speakers design, brings clear voice rather than a rear speakers design. > “3” Work mode: smart mode, signage mode and CCTV mode for different applications as you need. > PVM +NVR + Platform: support real-time preview, playback, storage and management by NVR and platform. > PVM & Digital signage: combining commercial and security brings more commercial value for customers.